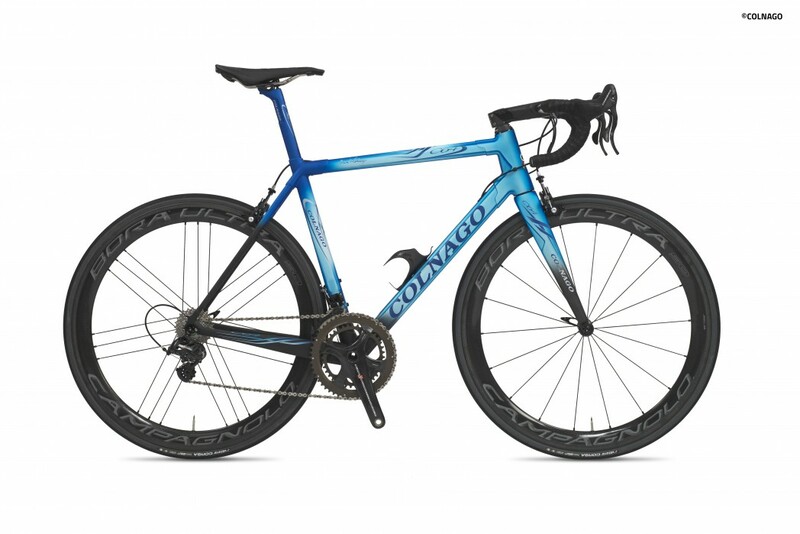 Colnago C64: completely handmade – “tailor-made,” it could be said in Italy, with revolutionary tubes (larger, lighter, more durable), the C64 is the fruit of more than two years of research. Yet, it was designed based on an almost immeasurable history of cycling innovation and success – one which began in 1954. The C64’s tubes and lugs are made of the finest carbon fiber, making it a unique frame in the world – one that cannot be compared to anything else. 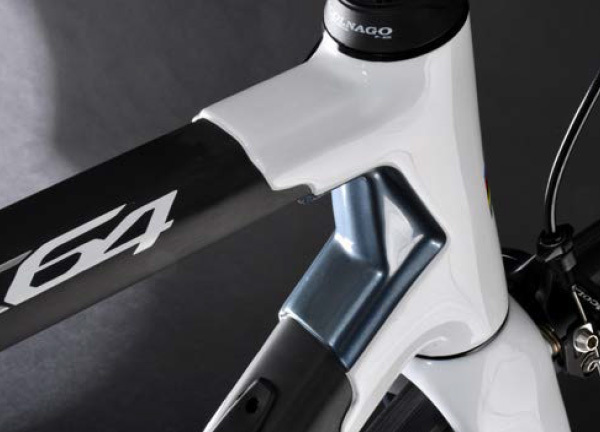 In the C64’s design lies Ernesto Colnago’s knowledge and experience, gained from a lifelong pursuit of cycling perfection. 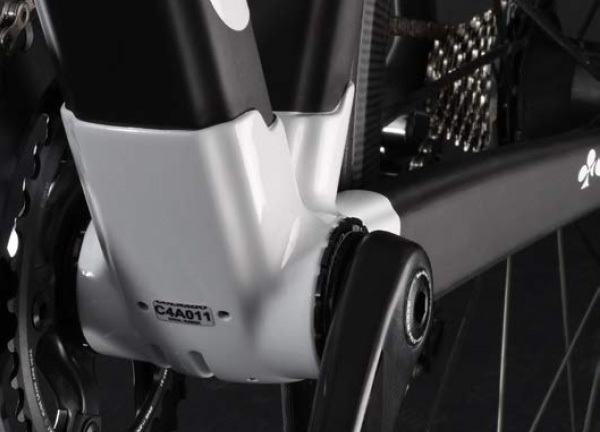 Probably the most striking difference between the C60 and the C64 is that the seat tube meets the seat tube lug to form a single piece. 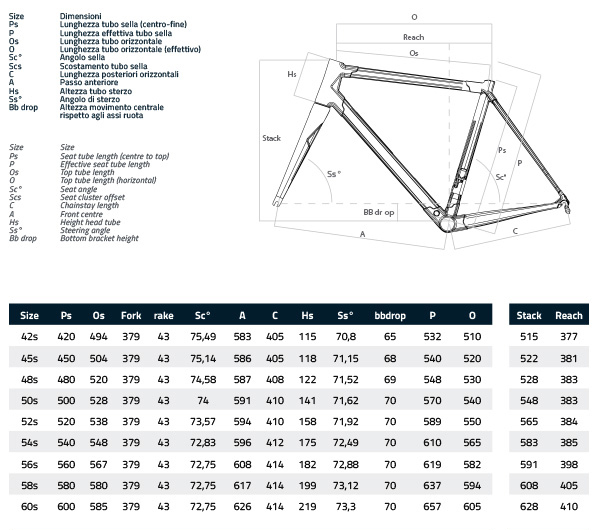 This technical feature increased the stiffness of the frame, while keeping the weight low. The monostay is no longer straight either, but is conified to create the best possible gluing surface. 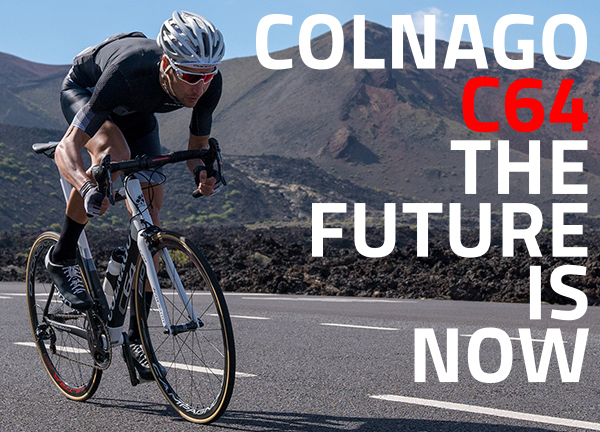 Of course, this means we now have different seat tubes for all sizes! From the beginning of the ThreadFit 82.5 project, the idea was ingenious: keep the reliability of a threaded BB but offer the benefit of a wider shell, typical of a PressFit system. 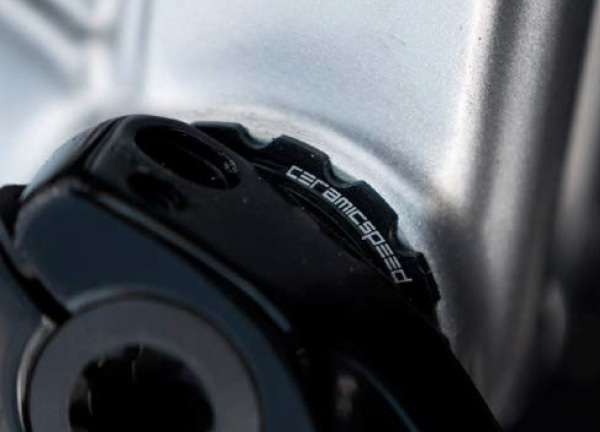 Now, we’ve moved further forward with a collaboration with premium bearing brand Ceramic Speed. 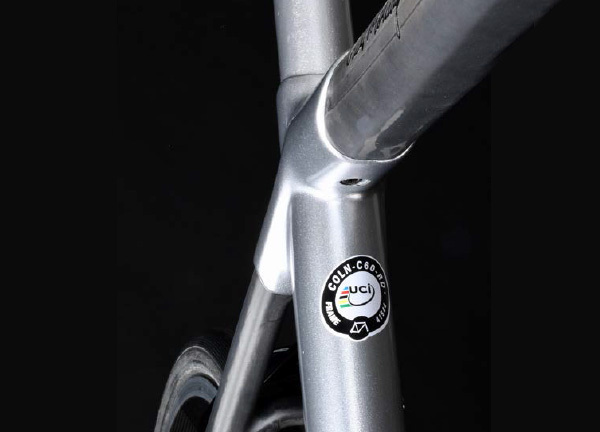 In conjunction, we’ve created our own threaded, wider bottom bracket, with bestinclass bearings. 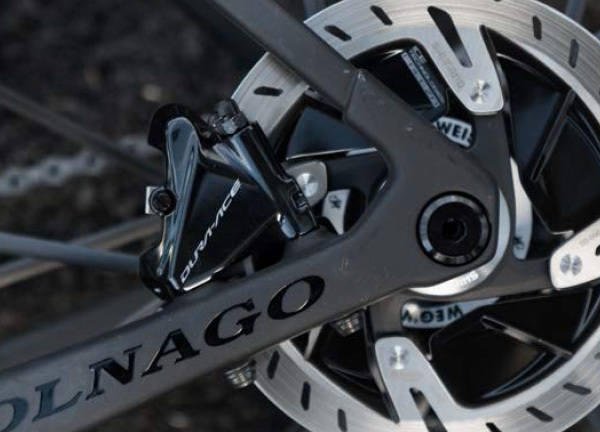 We will be offering 3 different bottom brackets (Campagnolo, Shimano, SRAM) as aftermarket purchase options. 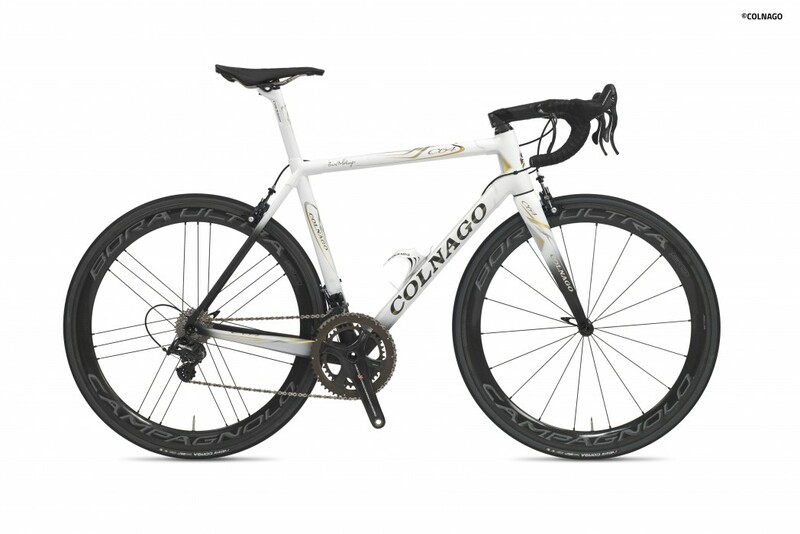 Another key area where we completely changed our technology is the chainstay/dropout area. The C64’s dropouts are now fully part of the chainstays. The one-piece construction allowed us to lower the weight, add vertical compliance, and retain the same lateral stiffness. 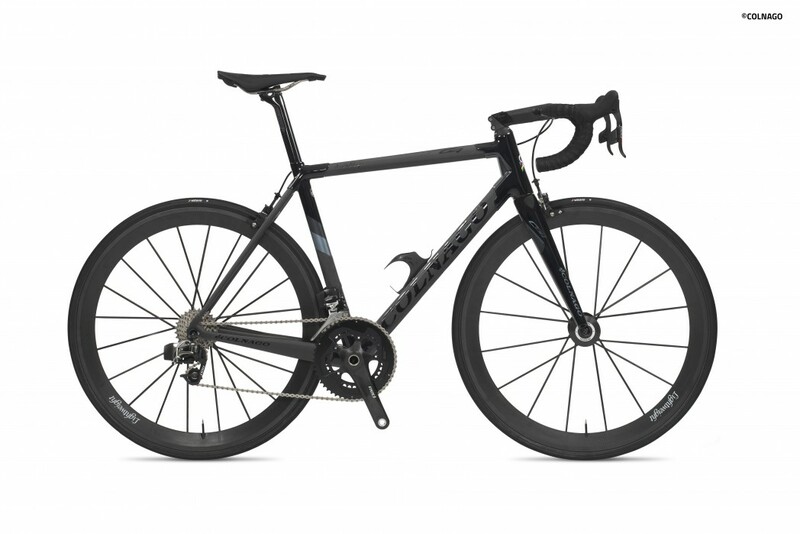 The disc-brake frameset features threaded12mm thru-axles and co-molded flatmount brake provisions.